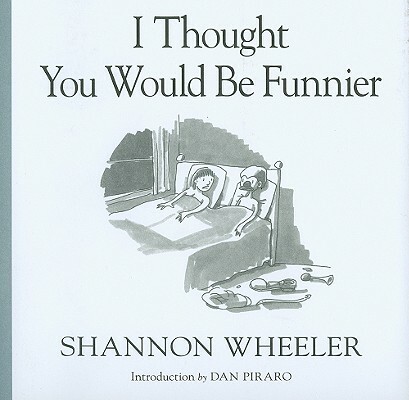 A new cartoon collection from the mind of Eisner Award-winning, Harvey nominated and current NewYorker Magazine cartoonist, Shannon Wheeler It's the best-of-the-best of what's left on the cutting room floor from Wheeler's cartoon submissions to The New Yorker Magazine. Never seen in print before anywhwere else. Shannon Wheeler- Eisner Award winning artist Shannon Wheeler is best known for his character Too Much Coffee Man. Too Much Coffee Man, as a comic has appeared internationally in newspapers, magazines and comic books. Dark Horse Comics has published five graphic novels that collect most of the work. 2006 saw the production of a " Too Much Coffee Man Opera" at the Portland Center of Performing Arts. It's the first opera to have been passed on a comic book. His weekly strip Postage Stamp Funnies appeared in print edition of The Onion until 2009, he began publishing cartoons in The New Yorker magazine.